I have two cutie patooties next door, and I thought I would make little cards to put in their Trick or Treat bags this year. No stamping involved, paper is from the Doodlebug Design Boos & Brews pad that I have been working my way through for the last 2 or 3 years. Supplies: Paper – Doodlebug Designs Boos & Brews, Neenah Classic Crest Solar White, Stampin’ Up! Basic Black, Pumpkin Pie, Taylored Expression Cookie Monster, organdy ribbon – ClearBags, twine – Stampin’ Up! 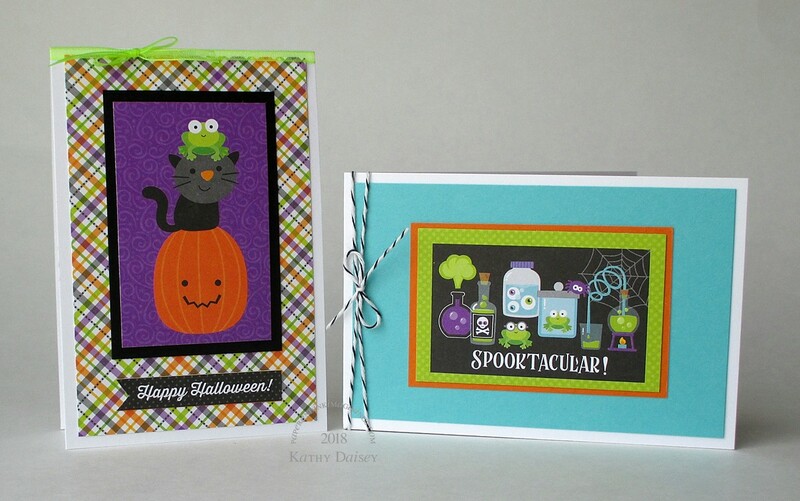 Categories: card, halloween | Tags: Boos & Brews, card, ClearBags, Doodlebug Design Inc, Neenah, Stampin' Up!, Taylored Expressions | Permalink.